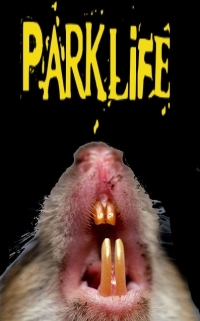 A Horror novel about a group of people that get trapped in a park by the animals in the park. Christian Moore must keep his son safe from not just the wildlife, but from those in the group as well. The object made surprisingly little sound as it sped towards the earth. “Come on. They’re gonna kick us out soon.” Evan prodded his girlfriend in the ribs. Christian Moore looked at the upturned faces of the children before him. Some of them stared back, blinking, others frowned. No one said anything. The man running towards Chris was shouting. Most of it was profanity. The children had set their papers and crayons aside and were observing the spectacle. Chris noticed this and shouted to the children.